An interview from the 2018 International Broadcasting Convention in Amsterdam with Brian Linhoff of Sigma. Since 1961, Sigma has been devoted the pursuit of advancing photographic technology. Unique to the industry, the family-owned business produces its high-quality, award-winning camera lenses, Cinema lenses, DSLR cameras, flashes, filters and accessories from its state-of-the-art manufacturing facility located in Aizu, Japan. 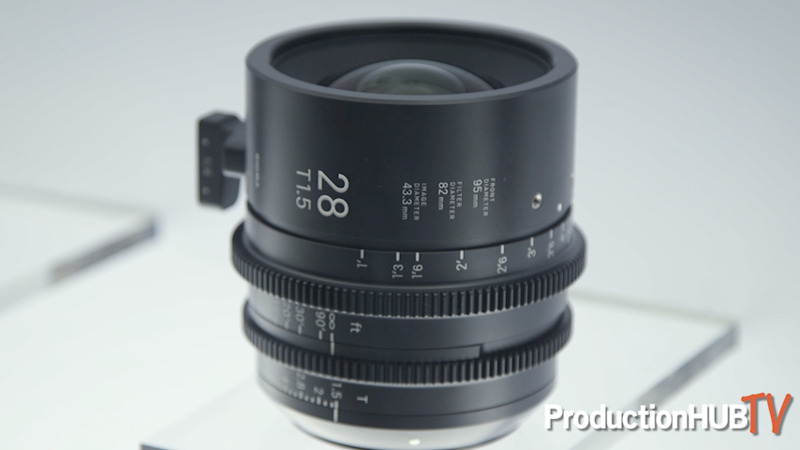 In 2016, Sigma entered into the world of Cinematography lens production. Embodying the core optical DNA that has defined the Sigma benchmark of excellence, the Cine lenses meet needs of advanced 6K and 8K cinema production. In this interview we talk with Brian about the high-performance Sigma Cine Prime product line, which now includes the all-new focal lengths and apertures – 28mm T1.5, 40mm T1.5 105mm T1.5, is compatible with the latest full-frame camera sensor technology. Compact in design, the Cine Prime line offers outstanding optical performance and is ready for higher resolution shooting (up to 6K-8K). This line of lenses includes the 20mm, 24mm, 28mm, 35mm, 40mm, 50mm, 85mm, and 105mm all feature a T1.5 aperture.